Project 90’s Community Partnership Programme aims to co-create vibrant & sustainable communities – focusing on energy, water, justice and enterprise development. 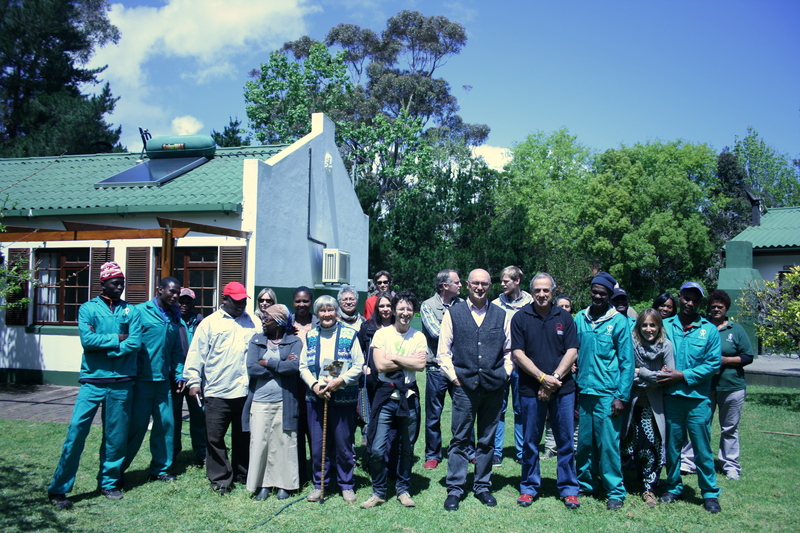 We have partnered with the Grail Centre Trust (affiliated to the International Grail Movement) to install renewable energy on their buildings at the Grail Centre in Kleinmond. 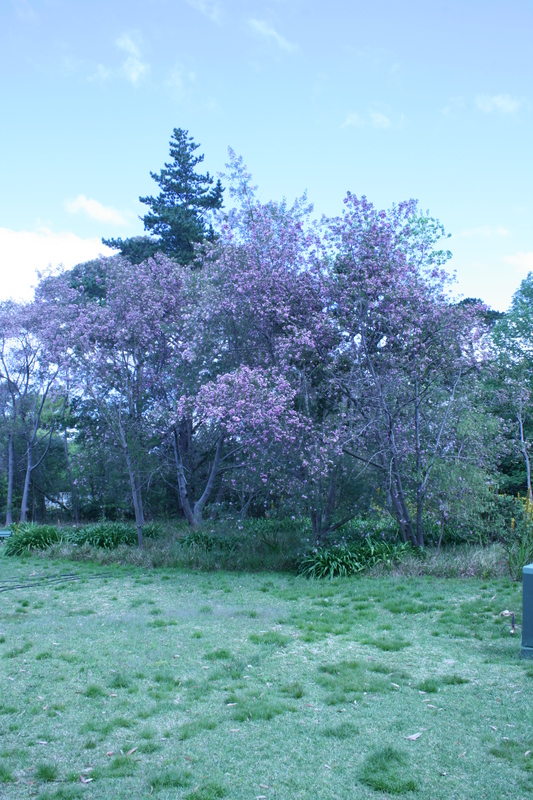 The Grail Centre provides an eco-friendly small group conference centre, training and strategic planning venue, as well as holiday and retreat space for those in the NGO and Faith-based communities. The centre promotes social justice for women and all other oppressed and vulnerable groups and promotes eco-friendliness and increasingly seeks to be a centre of excellence in environmental sustainability. The Grail Centre also hosts their Training for Transformation programme which provides holistic community development and adult education aimed at developing a new generation of ethical leaders in development, who are self-motivated and committed to dialogue and enabling bottom-up responses to community needs and the empowerment of communities. The Grail also has a number of Community Development Programmes which facilitate the training of local change agents to empower and enable community groups to participate in their own development and create sustainable communities in surrounding rural towns in the Overstrand/Overberg areas. Project 90 by 2030 partnered with the Grail to assist them in reducing their carbon footrprint. The first step was to do a high-level feasibility analysis to determine where the best energy savings could be made. In collaboration with the Grail we agreed to retrofit 10 of their existing geysers with Heat Pumps and retrofit three of their existing geysers with solar panels. 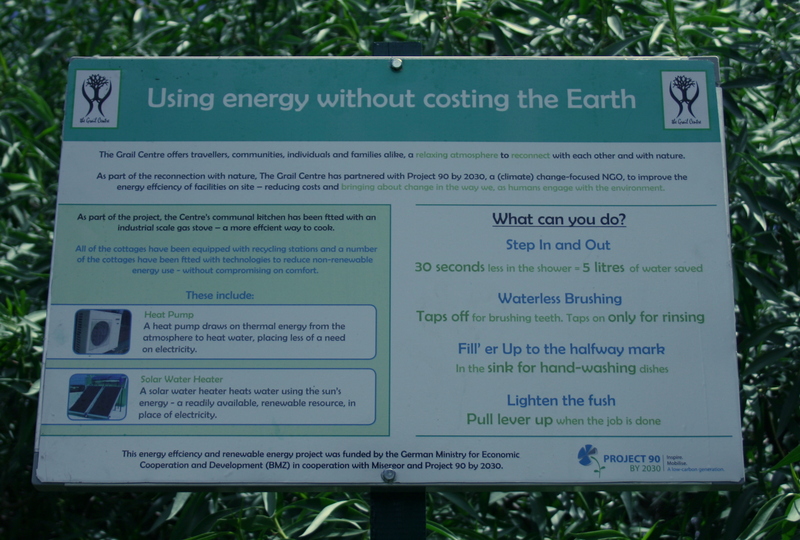 We also created educational signage for the centre. Project 90 will run training workshops to grow the knowledge of The Grail Centre staff on climate change, renewable energy and energy efficiency. The Grail staff will in turn integrate these topics into their educational approach to visitors and the local community through training and support of staff. This entry was posted in Community Partnership Programme, Energy & Water Secure Communities, Project 90 and tagged Project 90, Renewable Energy. Bookmark the permalink.